As the name suggest the Excel G5 Modular Self Propelled Wheelchair has a wide range of options to suit a broad range of clients needs. 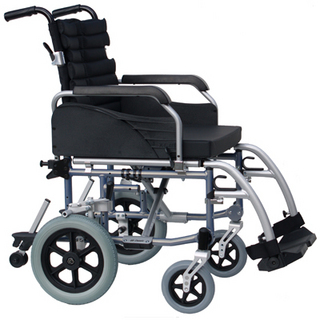 The Excel G5 Modular Self Propelled Wheelchair has up to 8 different seat widths ranging from 35cm up to 60cm. The G5 ‘Modular’ wheelchair is also capable of achieving up to 6 different seat depths and heights. The high modularity of the chair doesn’t just stop at seat positions, as all the way through the chair there are multiple options to choose from, whether its front and rear wheel sizes, frame colour, or what backrest height to have. The G5 ‘Modular Wheelchair is capable of it all. The UK/IRL specification comes with a half folding backrest fitted as standard. As you would expect from a chair like this all the little extras come as standard such as seat cushion, anti tip wheels swing back removable armrest, and quick release wheels. 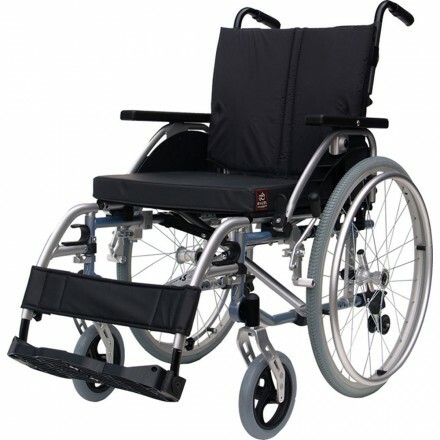 This wheelchair is foldable and has removable rear wheels for ease of putting into a car, also has removable armrests for side transfer.